Few would have imagined just a few short years ago that essentially all – not most, but all – the major 2015 electronic instrument news out of the annual NAMM trade show would come down to 70s-/early 80s-style analog synthesizers, in the form of keyboards and modular. Certainly, no one ever expected to see the name Sequential Circuits again. But that’s what happened. Oddly, I think to most synth crowds now, the name Dave Smith Instruments is more recognizable than Sequential. But the Sequential name was the one worn by his early synths, including the legendary Prophet, and was part of that historic first-ever MIDI connection. Now, it’s back, courtesy what is described as an unprecedented gesture of good will. It doesn’t appear Dave Smith Instruments is changing its name, but it does mean you can proudly haul that adorably dated typography with you on stage. Everything old is new again. Now, having gotten that out of the way, the Sequential name isn’t the most important thing about the unveiling of the Prophet 6 synthesizer. On one hand, the new Prophet isn’t a reimagining or reboot of the Prophet-5 – no digital remake here or successor in name only. The oscillators, filters, and amplifiers are all analog, and share an architectural approach derived from the classic. (As noted in comments, it’s worth emphasizing the language “discrete oscillators” – true voltage-controlled oscillators.) But nor is this a “reissue” or (as Moog did recently) “resurrection.” In fact, even the analog section has a new design. The two oscillators plus sub are “newly designed,” and while the four-pole, resonant, low-pass filter is “inspired by the original Prophet-5 filter,” you also get a two-pole, resonant, high-pass filter. Modulation and unison features from the original are back. There’s also a new analog stereo distortion effect, for instance. The path from oscillator through filter to amplifier is all-analog, but the Dave Smith name has always been about mixing digital and analog when the need arises. So, enter the digital goodies: effects, a polyphonic step sequencer, and an arpeggiator. 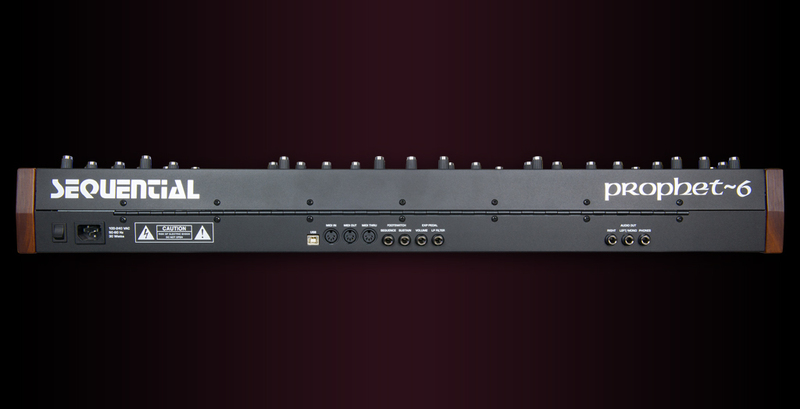 There’s no question this is a versatile instrument, because of the rich, clock-able arpeggiator and sequencer, and all those effects to turn this unit into a single gigging workhorse, no external gear required. The Poly Mod section is nice, too: you can route to both oscillator parameters and filter. 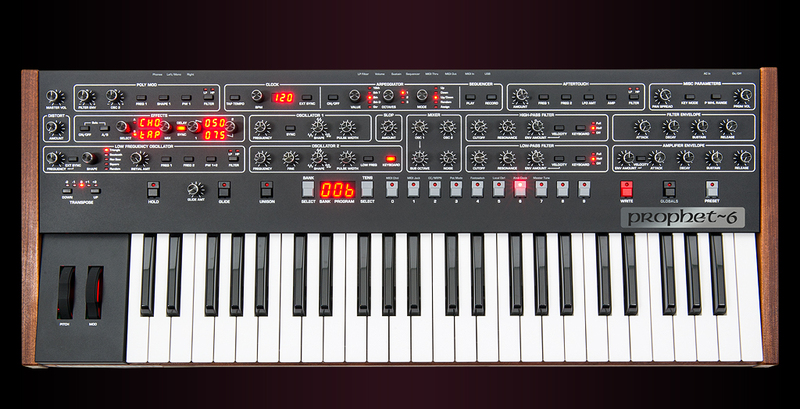 It’s impossible not to compare DSI to the approach of some of its synth rivals, particularly at NAMM. Moog were present with only a museum piece available to the super-wealthy – interesting, but perhaps the most slavish new analog hardware ever, refusing to make any changes to the original and even reproducing original manufacturing processes. That might have gone unnoticed, except that modular fans were keen to get their hands on something more practical and accessible. And Moog noticeably have no polyphonic entry in their lineup. There’s the monophonic Minimoog and the paraphonic Sub Phatty line, but that’s it. Certainly, Moog have a massive lineup of other stuff, but it’ll be interesting to see if they enter this category of instrument down the road. Then there’s KORG, whose ARP Odyssey followed in the footsteps of the MS-20 mini by shrinking its keybed – apparently with only “slim” keys, but still. (Botched photo opportunity moment of NAMM – while I can’t verify this, rumor spread that Stevie Wonder complained.) Dave Smith can still weigh in under 10 kg – it’ll take up more room, but you get a full four-octave keyboard with full-sized keys. On the other hand, the KORG reissues are also still that – sure, you get USB MIDI, but they’re mostly the same as the original. So, where Dave Smith comes in is still new analog and hybrid territory that revisits a legacy, without being limited by it. If you do decide you like the Dave Smith sound and design, now the question is now which “flagship” to buy. There’s no official pricing on the Prophet-6 yet, but we’re hearing around US$2800 – a significant, but not impossible investment for many. And certainly this is one keyboard you could expect to cover all your needs. If that were all DSI made, you’d probably have made your decision. But it isn’t. 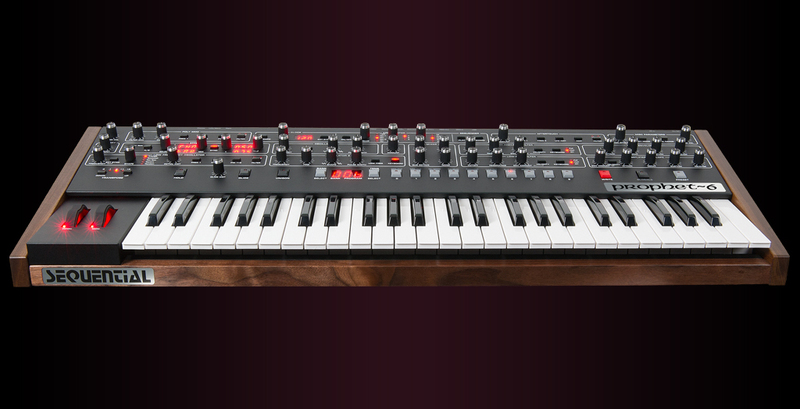 Or, there’s the Pro 2, the paraphonic analog offering. That gives you more oscillator coloring options, a more out-there digital effect section, dual filters with an Oberheim SEM-inspired option, tuned feedback, and a really deep modulation section, plus control voltage expansion. And yes, this is the one I’d have, if anyone is shopping for … erm … Valentine’s Day presents for me. Or something. It’s also worth mentioning the similar Prophet ’08. Fundamentally, they take the same approach: start with real analog oscillators, and build a multi-voice successor to the early Prophets, with extra controls, preset storage, an arp, and step sequencer. The Prophet-06 I believe features some new oscillator and filter circuitry; we have to talk to DSI about that and find out how it sounds. The Prophet-08 seems to have greater modulation capabilities than the Prophet-06, but it lacks the new P-06 effect section. I don’t think the P-06 will be stealing any P-08 customers, but for new DSI buyers, there will be some reflection required. So, the Prophet-6 really occupies some middle ground. It’s a real analog synth, but with an effects section so you don’t have to haul separate effects. It’s eminently playable. It has 6, not 12 voices, but… for a lot of applications, you don’t need 12 anyway. And it’s ready to tour. To me, the Pro 2 remains the most interesting recent Dave Smith creation, because its sound design options are so absurdly deep. The Prophet-6 is noticeably absent CV connectivity, if that’s important to you. But the Prophet-6 deserves some credit both for its vintage good looks and badge, and it’s a nice update to the Prophet legacy. It’s not really the most adventurous of the DSI offerings, but it rounds out the line for the gigging keyboardist. And, in the midst of lots of splashy modular news, this is the instrument that those gigging players may most welcome out of the product news starting this year. I look forward to getting some reviews of this when it arrives. Here’s Sonic State with a great video with the dude himself.